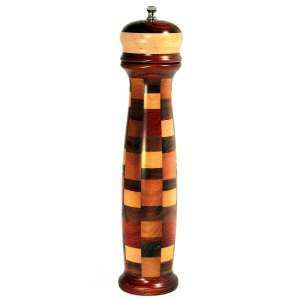 10″ Earthtone Wood Pepper Mill – Vertical design, Gloss Finish. Featuring a single Cherry Wood Top. 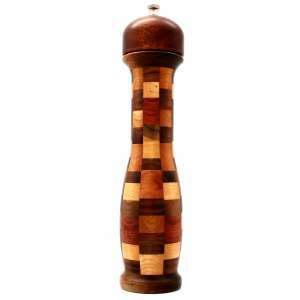 Woods used to create this dynamic piece of functional art include: Cherry and Canarywood alternating around the cavity of the pepper mill. Please select grinder mechanism as a Salt Grinder or Pepper Mill. 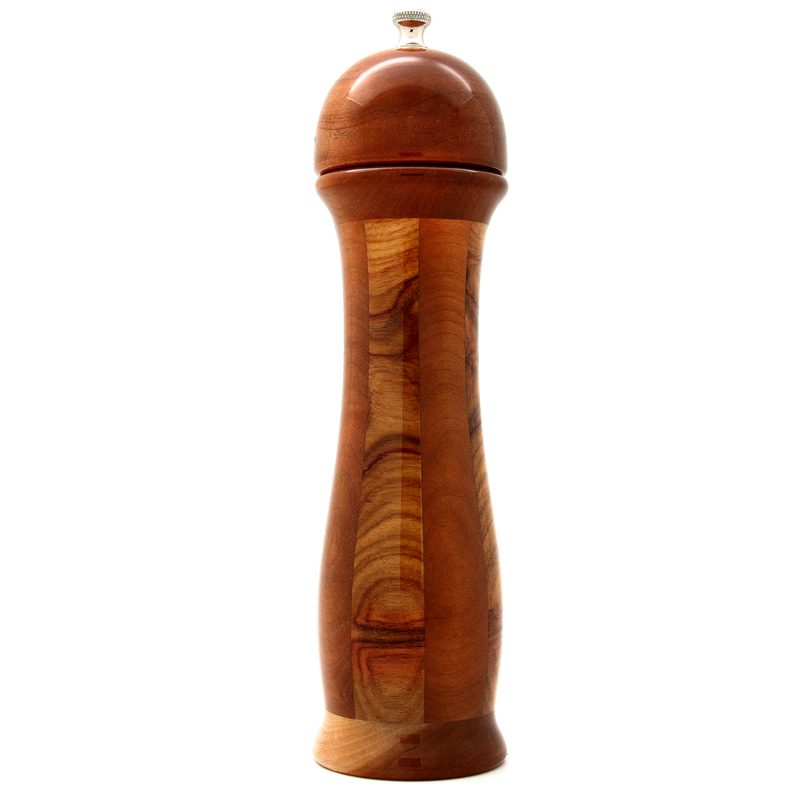 Our signature items are pepper mills and salt grinders. Each mill is handcrafted one at a time in our Michigan shop. The natural color wood designs range from simple classy to the most complex wood patterns you have ever seen in a wood pepper mill or salt grinder. The professional grade, fully adjustable, grinding mechanism is guaranteed for life. The grinding mechanism is made in the USA by Chef Specialties in Pennsylvania. Their pepper mechanisms are stainless steel and ceramic for the salt. They are available in sizes ranging from 8″ to 12″, and up to 24″ upon special order. G3 Studio’s style, technique, and process of constructing our wood pepper mills and wood salt grinders is state of the art. With epoxy like finishes they are meant to be used, and loved everyday. They are true art for your kitchen that will last for generations to come.